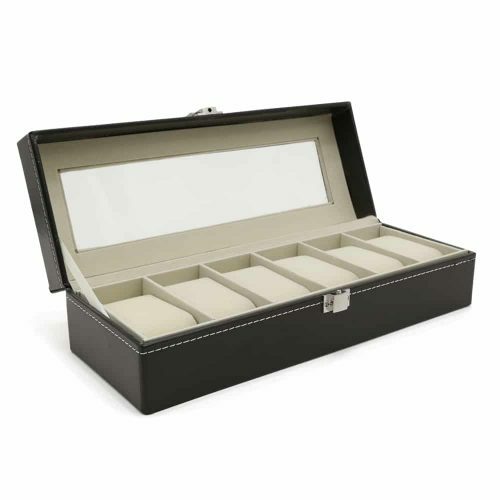 - Lower Draw That Contains 2 Large Compartments, Soft Ring Cushions and Cufflink/Earring Slots. 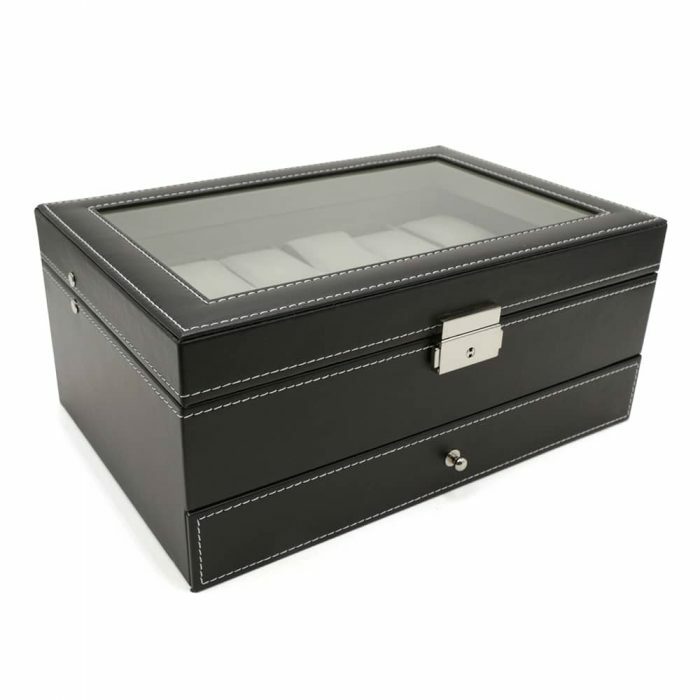 Designed for the highest level of protection and storage space, this 2 Level 12 Slot Watch Box gives you everything you need to keep your collection safe. 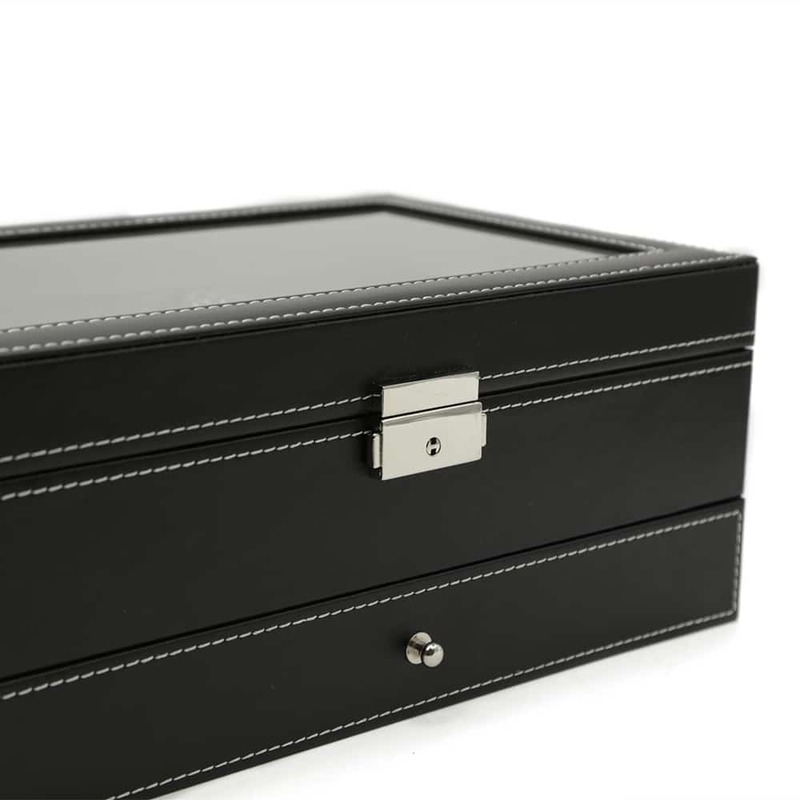 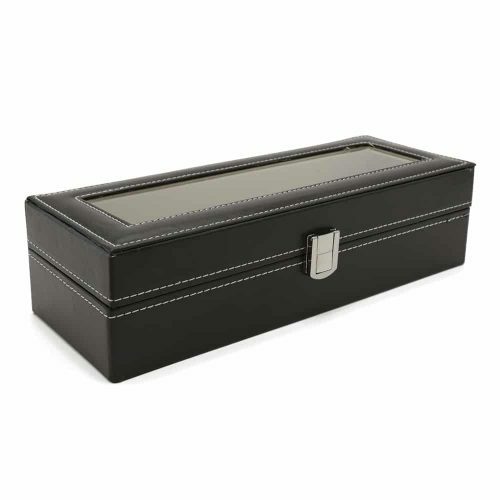 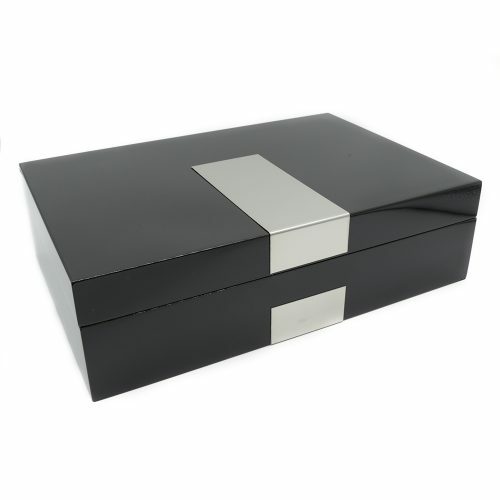 The box is made with a high-quality black PU leather with a grey velvet interior to match. 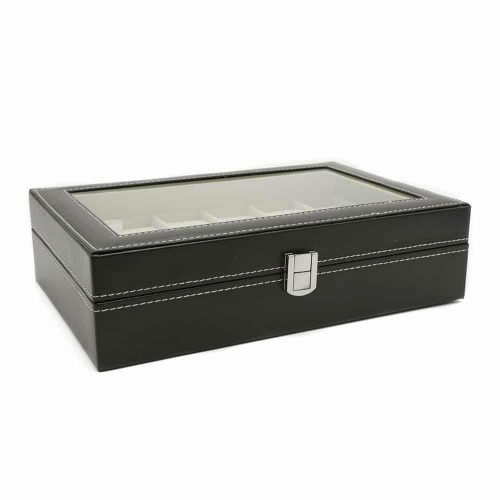 The upper layer has a see-through panel on the lid to allow you to easily view your collection. 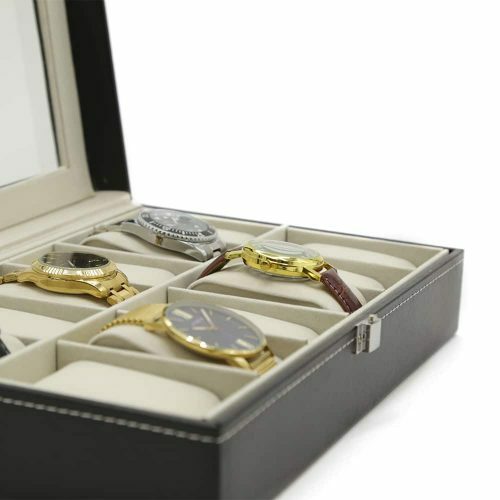 It also comes with a silver lock and key to ensure your watches are safe and dust-free. 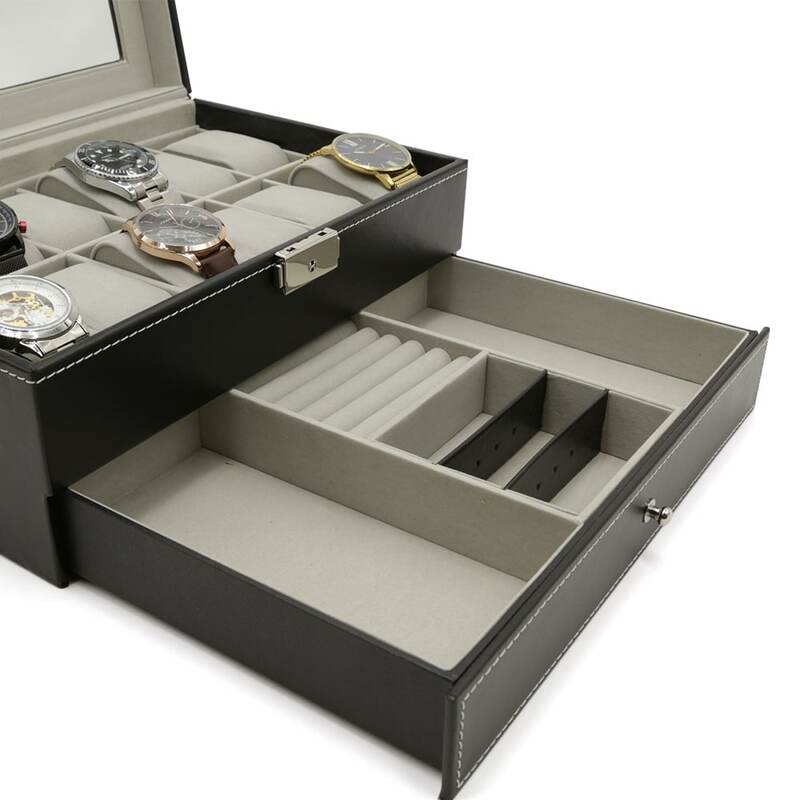 The lower draw has plenty of room with big compartments for watches with bigger faces, sunglasses, and more. It also has room for your smaller valuables such as rings and cufflinks. 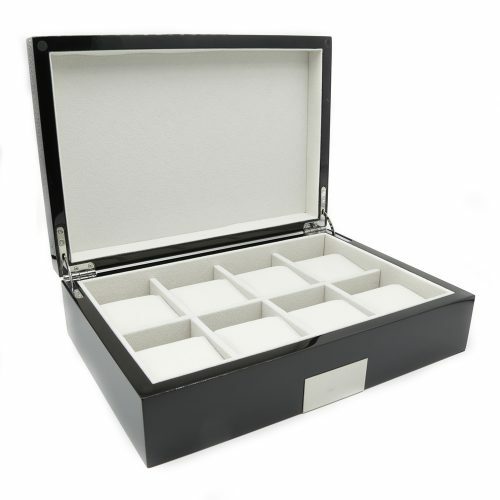 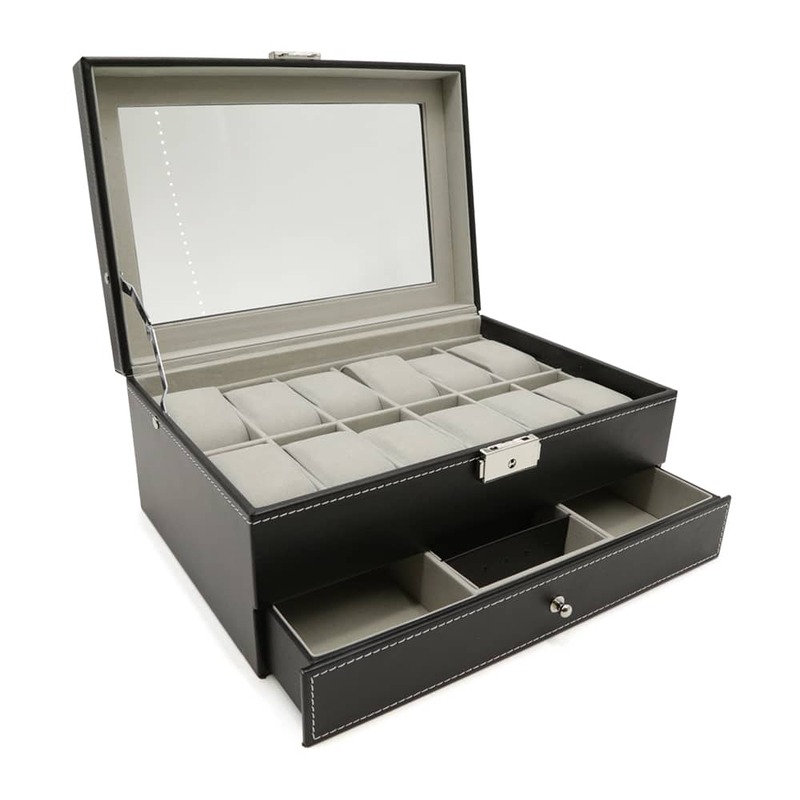 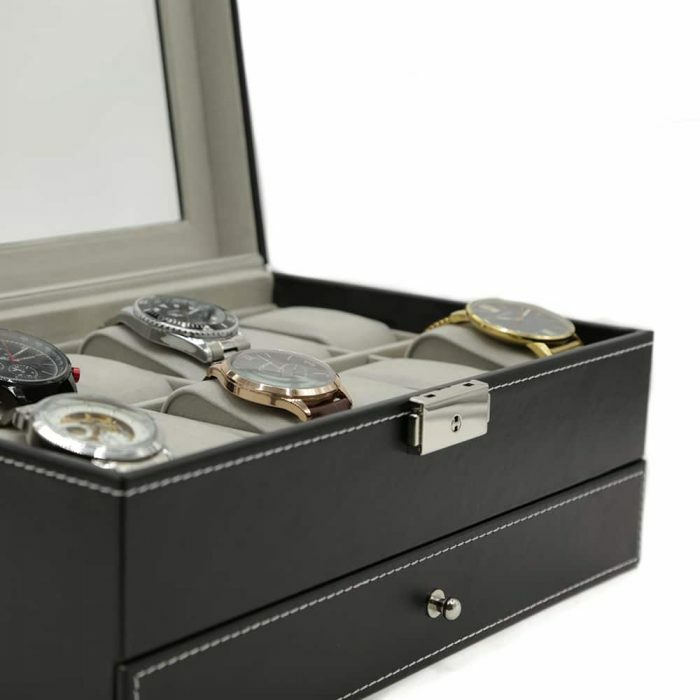 This watch box is perfect for anyone with an extensive collection.